The Lantern is the ultimate in conservatory design and can be attached to your property or built as a stand alone outbuilding. The original conservatory style, often referred to as an Orangery, now brought up-to-date with modern window and conservatory roof technology. When Dutch horticulturists invented conservatories in the 17th century to conserve (hence the name) plants through the winter, they would have been unaware of the many adaptations which were to follow. 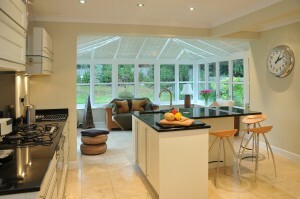 With the addition of a conservatory or classic orangery, the Georgian gentleman expressed his position in society. The level of grandeur, in both scale and ornament, was therefore carefully judged to present a particular image to the world. 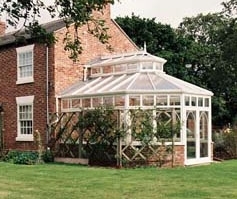 If you would like a quote for one of our Lantern Roof Conservatories, then please give us your contact details and someone will be in touch very soon. Or please call us on 0800 6523151.